Pastor Philip couldn’t stop shivering. He tried to lead the prayer meeting he’d come to the village for, but his body trembled so violently that his stomach began to hurt, and he couldn’t speak. The Gospel for Asia-supported pastor rushed home after the meeting, lit a fire in the kitchen and warmed himself in front of it. It took some time for him to recover. Miles away in another village, Madur’s palms and fingers were cracked and bloody after laboring in the frigid air. He couldn’t afford to miss work the next day, but he also couldn’t work gathering firewood with bleeding palms. In the region where Madur and Philip live, the sun’s warmth doesn’t last. People face long winters when nighttime temperatures drop to bone-chilling depths. Quality winter clothing is too costly for most people to afford, and the only heating system found in their homes is a fire in the kitchen stove. A few months before, Pastor Philip lived in an even colder region where he struggled to minister. It wasn’t that the people weren’t responsive. It was just unbearably freezing. 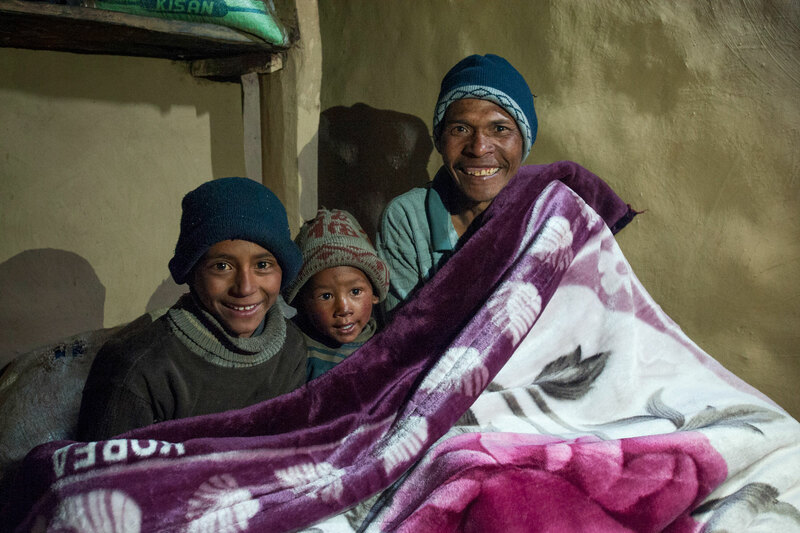 To help Pastor Philip and his family, a fellow GFA-supported pastor, Bhupendra, lent him a quilt. But the severe weather still took a toll on Pastor Philip's body. He often got stomach ailments, and his joints hurt. Because his health issues made it difficult to minister in this area, Pastor Philip asked the district supervisor if he could move, so they transferred him and his family to a location where the winters weren’t as cold. “This place is much better than the village where I worked before,” Philip says. Although he still faces some physical hardships, Philip is willing to embrace suffering to continue ministering to the people in this region. Madur, like many other laborers in his town, struggled to provide for his family in the bitter cold. 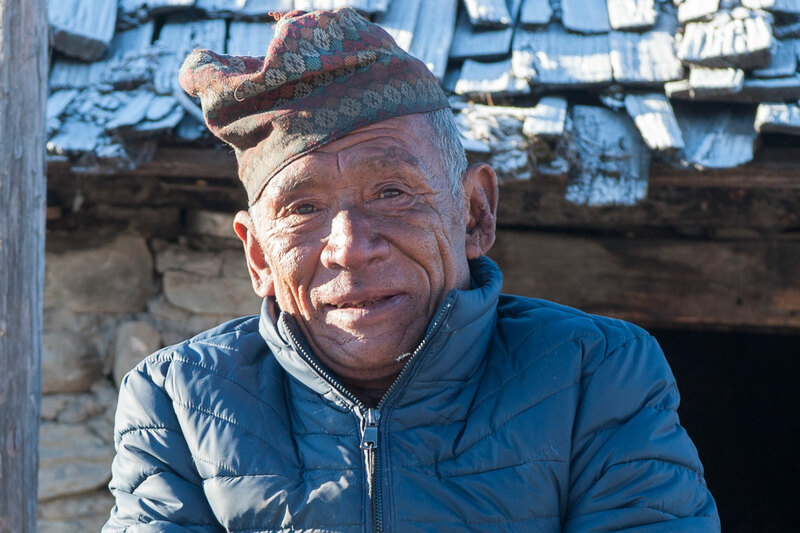 He earned daily wages by working in people’s fields and gathering firewood. He battled to provide food for his wife and three children; he definitely couldn’t afford to buy warm clothes. But this kept him in a vicious cycle: With no warm clothing to keep the cold wind from severely chapping his cheeks, knuckles and feet, he couldn’t work for long. If Madur didn’t work eight hours a day, he wouldn’t receive a whole day’s wage—and he wouldn’t ever be able to buy warm clothing for himself or his family. 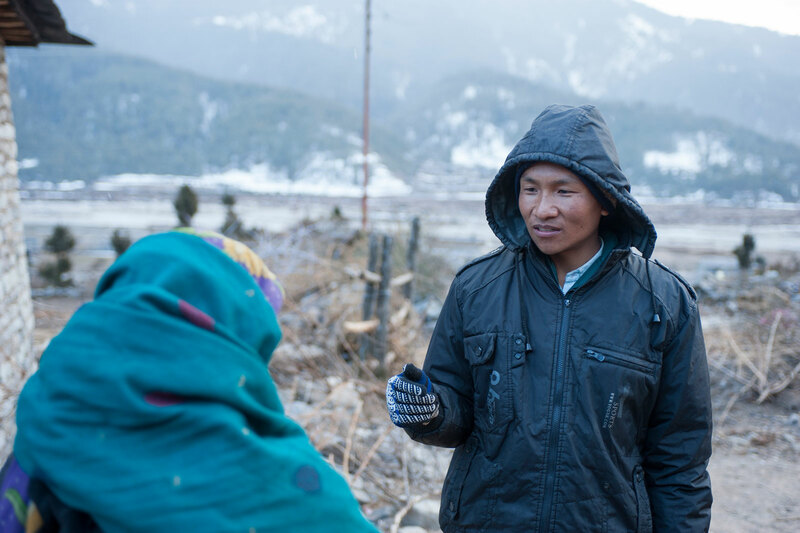 Thankfully, a Gospel for Asia-supported pastor, who lives in Madur’s town, knew of the struggles Madur and other laborers faced because of the cold weather, and he was able to help. 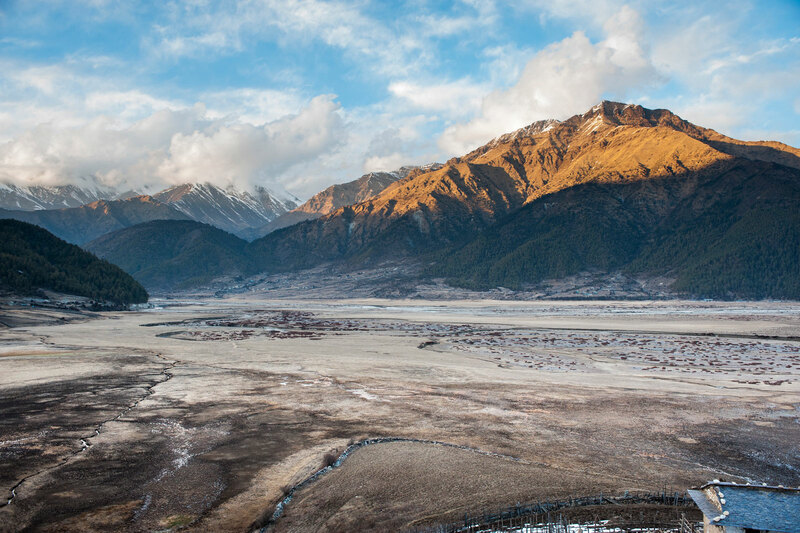 One day, Madur and Philip both arrived at a gathering on a plateau surrounded by glistening, snow-capped peaks. Packets of jackets and blankets sat on top of and next to a table.  The two men, along with several other pastors and townspeople, would be receiving gifts—precious gifts from a Creator who could bring warmth and joy to their hearts and bodies. These men knew how their lives would change. The jacket Pastor Philip received would keep him warm during the day while traveling from village to village to minister Christ’s love. The large, thick blanket he received a few weeks later would help protect him and his family at night and give him the sleep he’d need for a day of ministry. 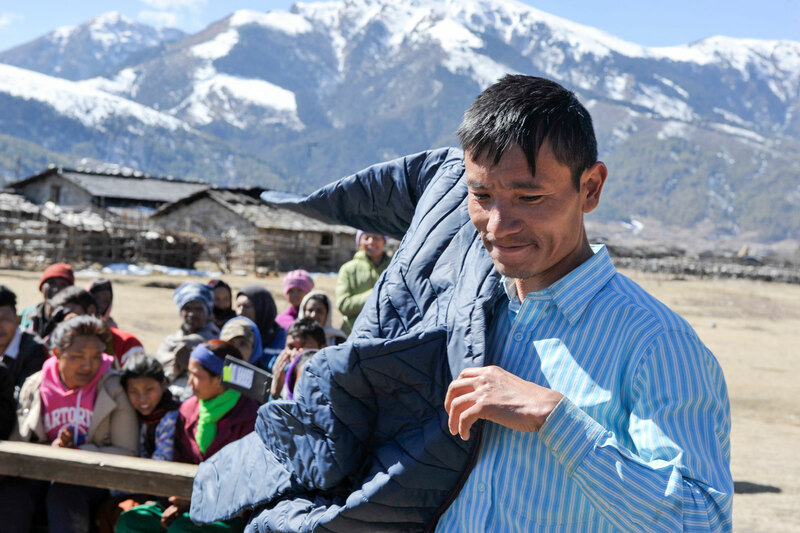 The jacket Madur received at the winter clothing distribution would insulate him for his challenging labor outside. With the extra warmth, he would be able to work more hours with less pain. Filled with gratitude for the gift he received, Madur invited some of the pastors to come to his home. He wanted to know more about Jesus, who filled the pastors’ hearts with love for their neighbors. As the sun glowed that day, brightening people’s faces as they received compassionate gifts of warmth, the Light of the World was shining, drawing people to the eternal warmth of His love. 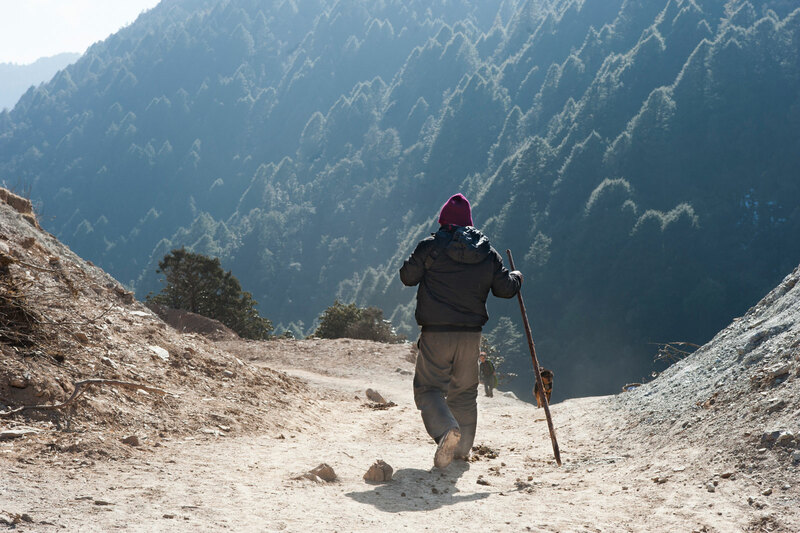 In some localities in this mountainous region where Madur and Pastor Philip live, temperatures can plummet below 0 degrees Fahrenheit. Because of poverty, many people have to clothe their children with ragged hand-me-downs. People lack in-home heating, so they gather around a fire in the kitchen to stay warm. When the weather becomes especially frigid, or when it is snowing and raining, people can’t work, so they stay home, keeping warm around the fire. 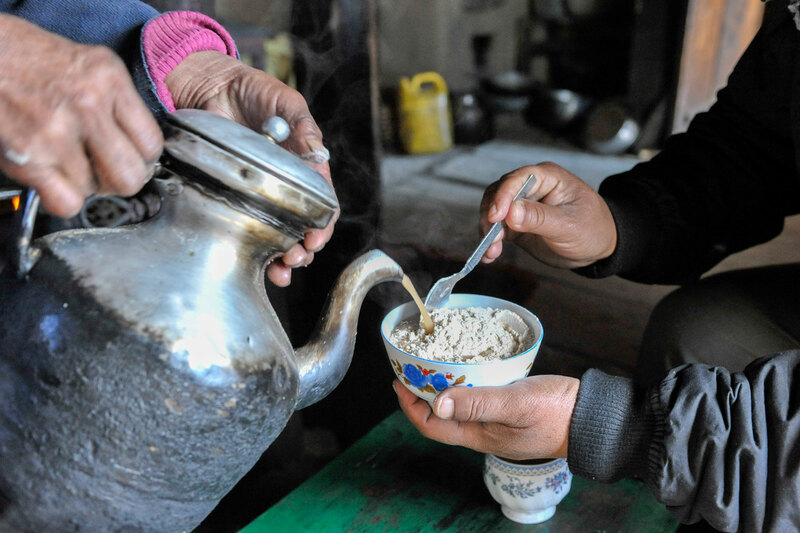 This gives missionaries a chance to spend time with the people in their communities, often over a warm cup of tea. Villagers and Gospel for Asia-supported pastors gathered together, full of joy, for a winter clothing distribution. 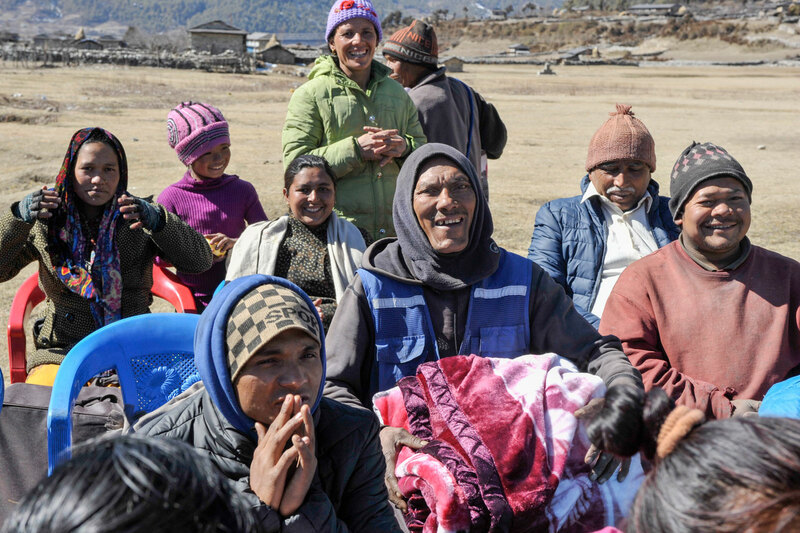 Gifts of winter clothing brought smiles to the faces of many Gospel for Asia-supported pastors, who had prayed for God’s provision during the bleak winters. They rejoiced to see God answer prayer. The simple gift of a blanket means a lot to a family in this frigid region. 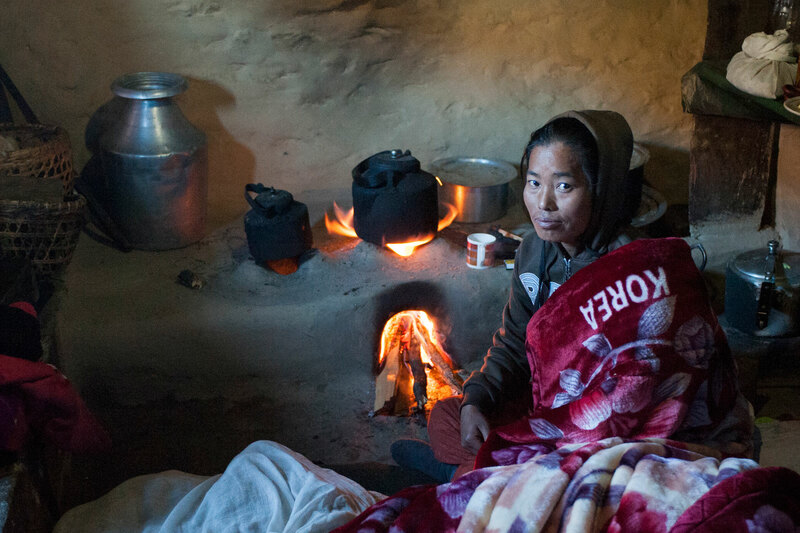 Blankets can help save young children’s lives from biting nighttime cold. These Gospel for Asia-supported pastors thanked God for the winter clothing they received, knowing it would help them carry out their ministry more effectively. 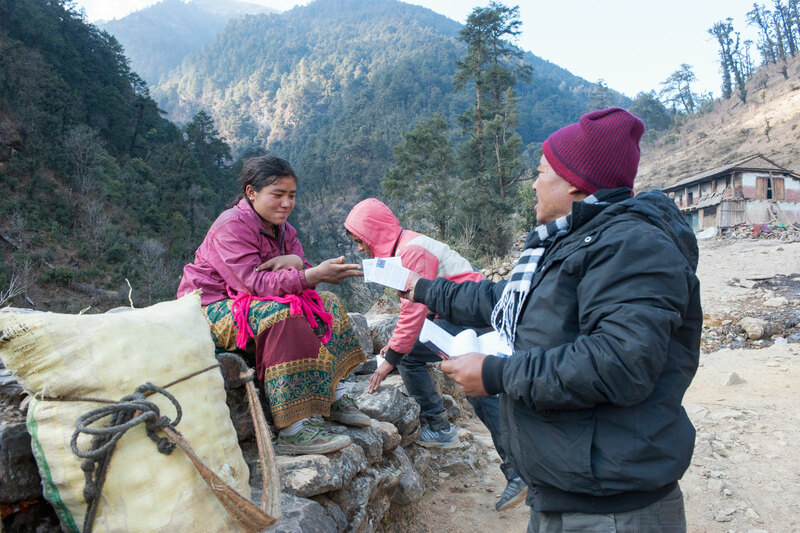 After the winter clothing distribution, Pastor Bhupendra and other Gospel for Asia-supported pastors got to spend time encouraging local families with the Word of God. 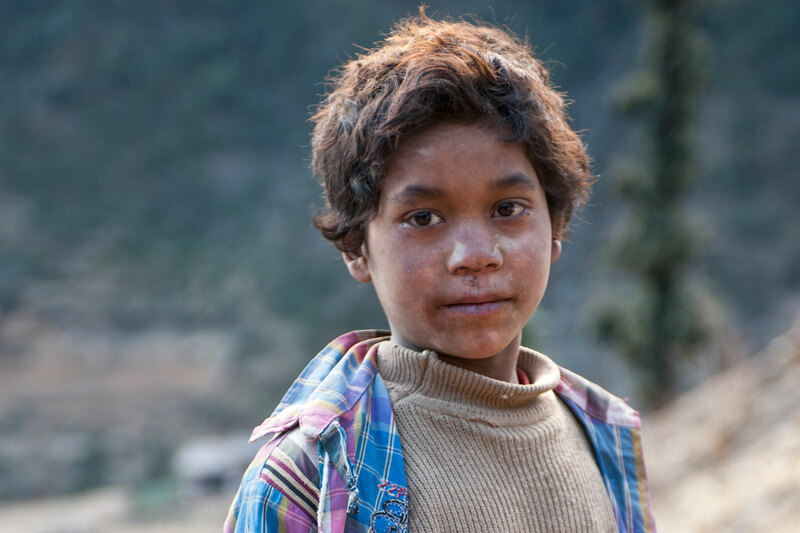 Digambar received a blanket in the Christmas gift distribution, but he isn’t the only one who will benefit. Blankets are so large and thick, they are often used by an entire family. Blankets help missionaries sleep better at night, so they wake up refreshed to spend time studying God’s Word and praying. A winter jacket keeps Pastor Anil warm as he travels around to tell people of Jesus’ love and to encourage the pastors he shepherds. People are more likely to listen to a missionary who looks peaceful and joyful than one who looks sad and tired, freezing in the cold weather without adequate winter clothing. 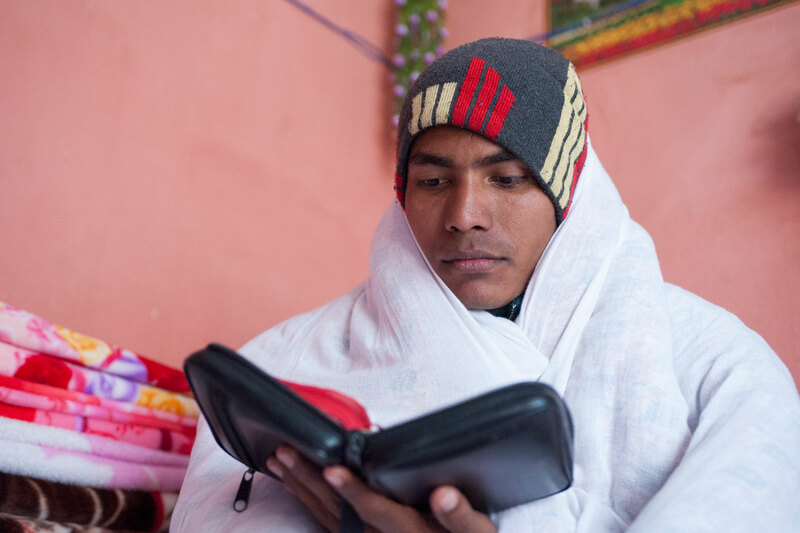 Winter jackets increase the number of hours missionaries like Pastor Anil can spend outside, allowing them to share the hope found in Christ with more people and villages.